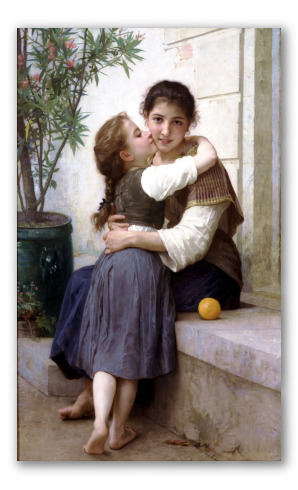 "A Little Coaxing" by W. A. Bouguereau, Oil-on-canvas painting. 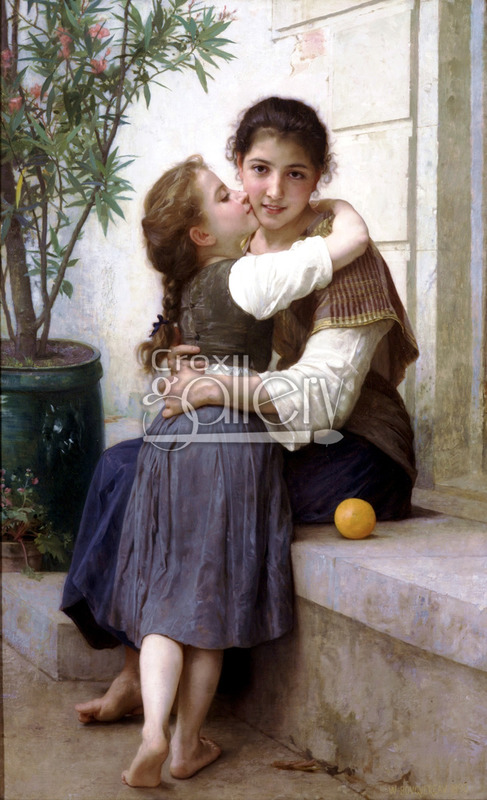 This work entitled "A Little Coaxing", also known by the names "Caricia" or "Un pequeño mimo" in Spanish, was painted by William-Adolphe Bouguereau in 1890. This painting depicts two barefoot sisters sitting at the entrance of a city house. The younger sister is giving the older girl a kiss on the cheek. Both girls seem to be posing specifically for the artist. This work is currently privately owned and is unavailable to the public.